Robinson's Galleria has a special spot in my heart. It's my family's "To Go" to mall when we were kids. I was also given the chance to work just beside the mall. So imagine the convenience? Whenever we have our lunch out (Hello Joey, Jess, Tin and Kevs!) or every time I need to do some grocery for Laurenne's fruits and vegetables. Everything is there! And oh, during the Christmas shopping rush? I can complete that in no time! 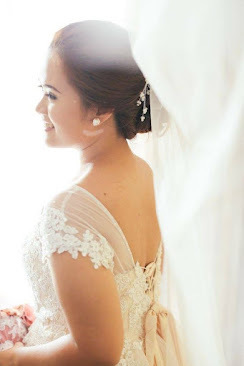 Quite sad and missing those moments whenever we are going at Robinsons Galleria. Especially there are lots of new restaurants and shops that were not there during that time! 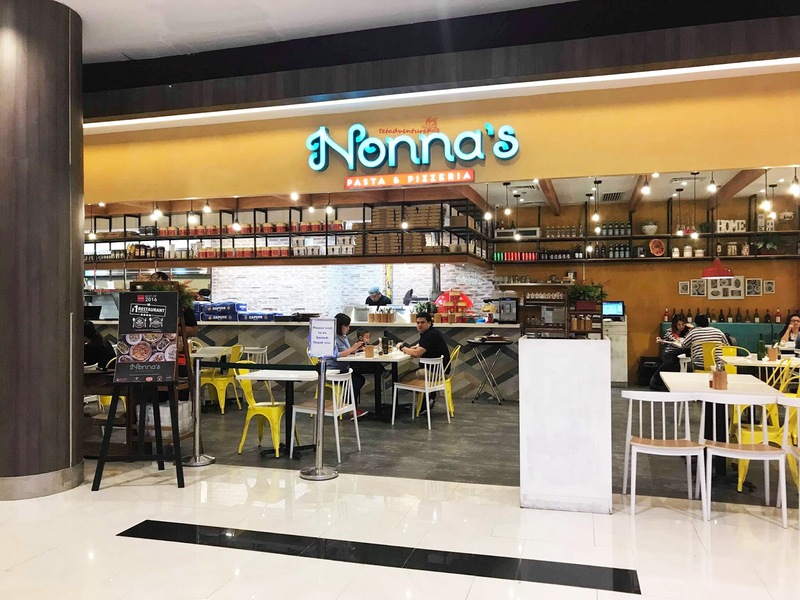 Nonna's Pasta and Pizzeria captured our attention with the bright and lovely interiors they have from a far! 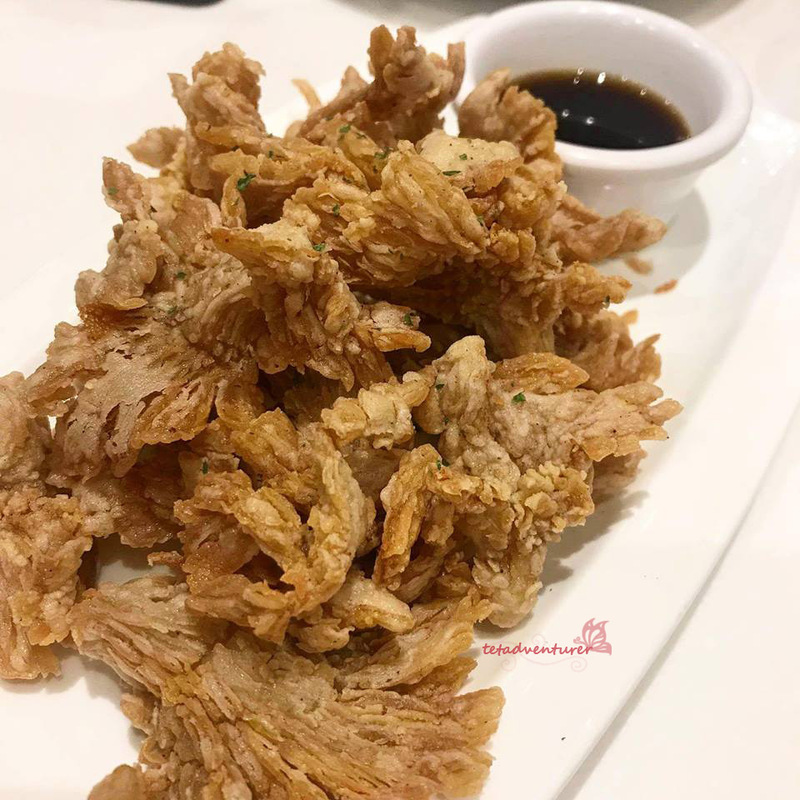 Mushroom Chicharon (180 pesos) - Crispy fresh oyster mushroom served with vinaigrette on the side. IT'S A MUST when you go to Nonna's. The mushrooms were great on its own, but what more when you paired it with their vinaigrette? This is really addictive! 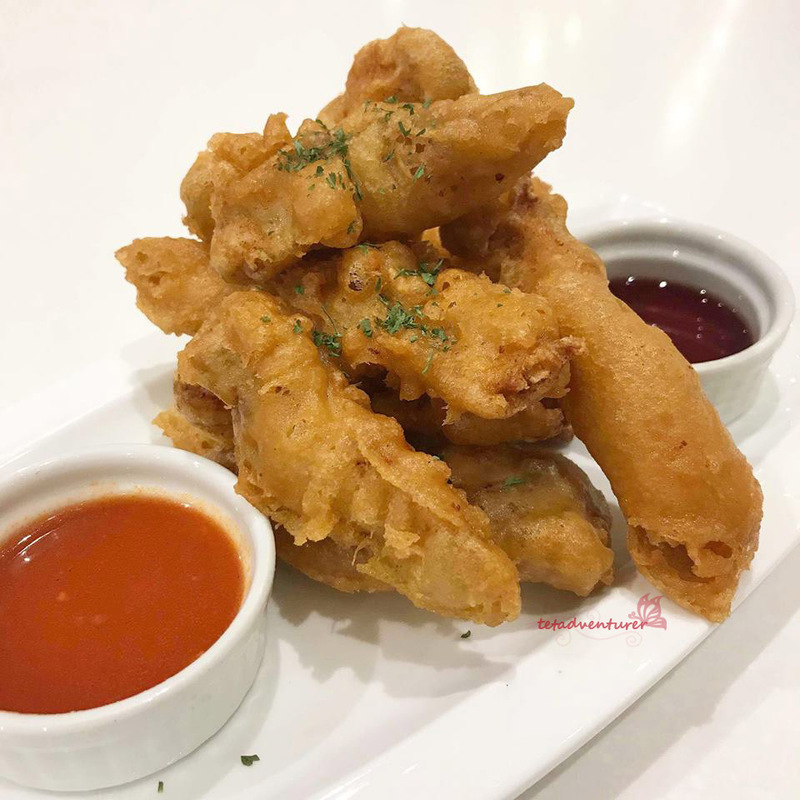 Chicken Fingers (180 pesos) - Perfect when you are with your kids. Chicken strips coated and fried until golden brown. My only concern is that it was really oily. I posted these comments on instagram and they duly noted this feedback I had. They do have great services during our stay too! Spaghetti Vongole Olio (285 pesos) - This was an accidental order. We actually ordered Spaghetti Aglio Olio but they wrote down our order mistakenly. BUT! It was such a great mistake! 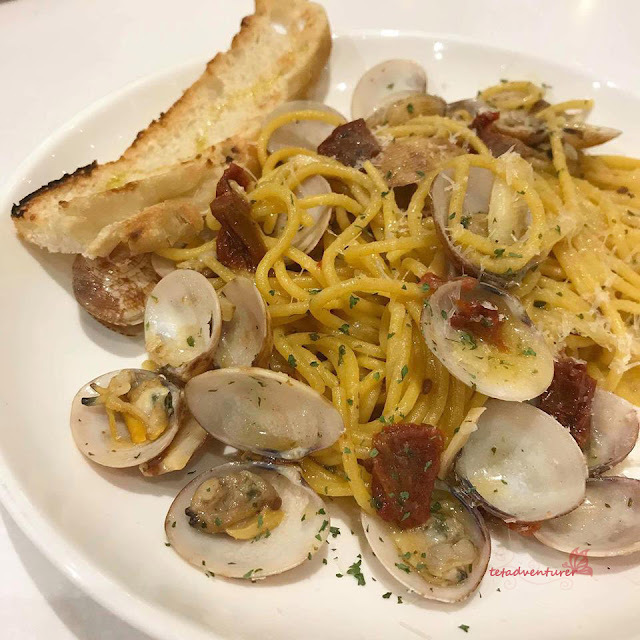 Their al dente pasta, clams, garlic, and sun dried tomato perfectly complemented each other! 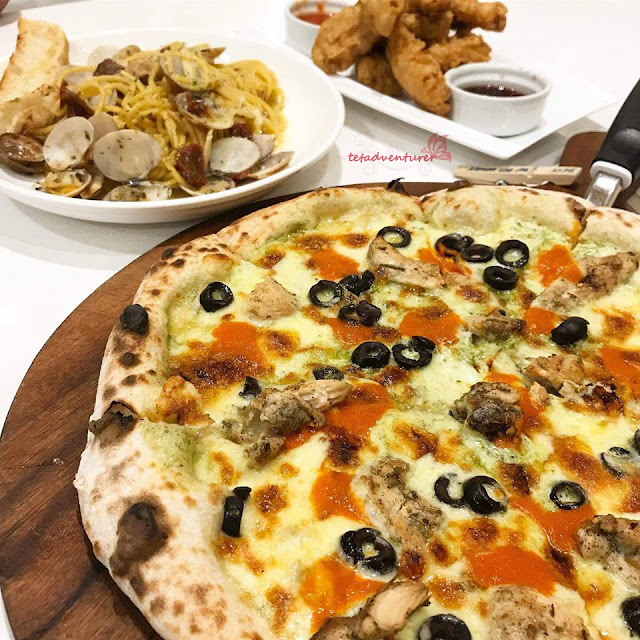 We also ordered their Salted Egg Pasta and Spaghetti Bolognese but I can't seemed to find the picture. Haha! Chicken Pesto Pizza (350 pesos) - I am biased when it comes to pesto. Anything that is pesto will be delicious to me! It's perfect with their chili honey. Just drizzled on top, and baaaam! Party of flavors in your mouth! 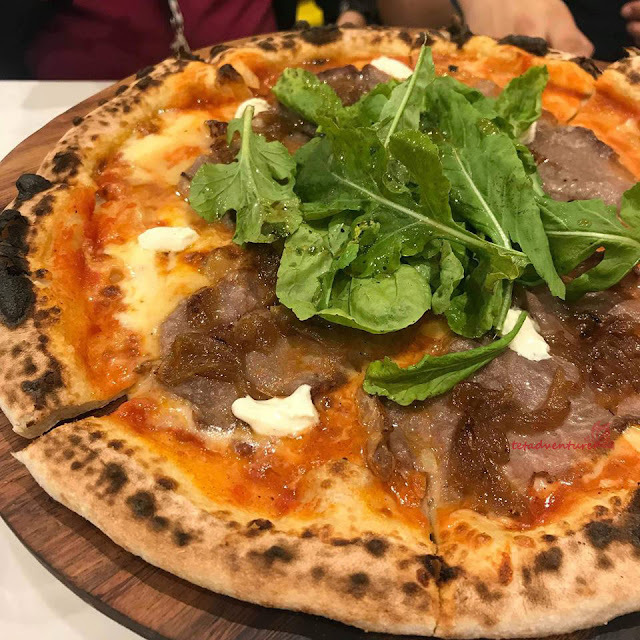 Roast Beef Pizza (485 pesos) - Hand stretched dough, topped with pomodoro, mozarella, rib eye slices, caramelized onions and home made ricotta. Topped with fresh arugula! I am late bloomer when it comes to arugula, but it's now on my favorites now!